Parents should familiarize themselves with the signs of brain damage in their babies. Early diagnosis and treatment can sometimes help reduce the effects of brain injuries suffered during birth. A birth injury lawsuit can help families afford the care their children need when brain damage causes developmental delays, cognitive impairments, or physical disabilities. The Centers for Disease Control and Prevention warns parents that traumatic brains injuries are one of the leading causes of permanent disability or death in children. A brain injury can occur when a baby is deprived of oxygen during labor and delivery. It can also occur if the doctor or nurses make mistakes during the delivery that lead to injury of the spinal column. New parents often overlook signs of brain injuries that occur during birth. Recognizing the signs and taking action can improve a child’s prognosis. A baby that suffered a birth injury may have low Apgar scores after birth. Low muscle tone and impaired reflex responses are often signs of a problem. When babies do not cry immediately after birth, it’s often an indication that something has gone wrong. Seizures that occur shortly after delivery or within the first 48 hours of birth are yet another sign of a birth injury. Bruising or bleeding on the head or brain swelling are other signs to watch for. If a baby arches its back and cries, it can indicate nerve damage or even cerebral palsy. Fractured bones or a misshapen spine or neck can also be connected to brain injuries. Parents who discover or suspect that their baby has suffered a brain injury need to seek medical care from a qualified pediatrician as quickly as possible. Sometimes, early treatment can help reduce the long-term effects of an injury. When a birth injury causes brain damage, the child may require extensive medical care for the rest of his or her life. Fortunately, families can hold medical providers accountable when mistakes cause birth injuries. 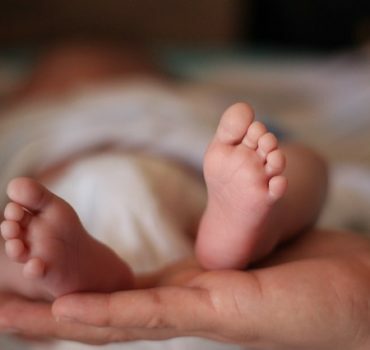 A record of medical care may help identify negligence should the parents choose to seek the help of a birth injury lawyer to sue for medical malpractice.